Bangor Dog Park Opening This Weekend! 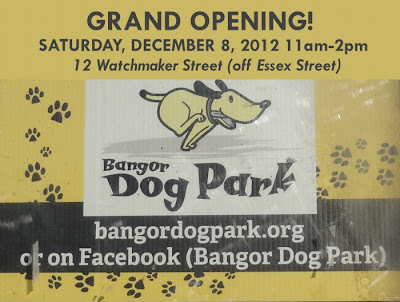 Bangor's first dog park is opening this Saturday, December 8th at 12 Watchmaker Street (off Essex Street). From 11am-2pm there will be raffles, refreshments, merchandise, a ribbon cutting ceremony, and a "special surprise" for the first 200 dogs. For more info, check out the Bangor Dog Park website or their facebook page.